It is said that the ryokan was bestowed the name of Hyouei, or "samurai," from the famous historical figure, Hideyoshi. 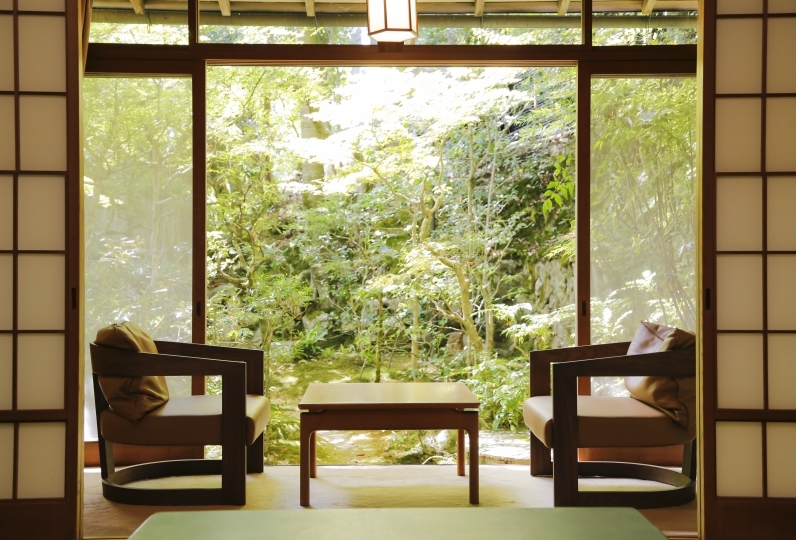 Founded 700 years ago, Hyouei-kouyoukaku is a long-established ryokan that has inherited the charm of the Arima Onsen area. 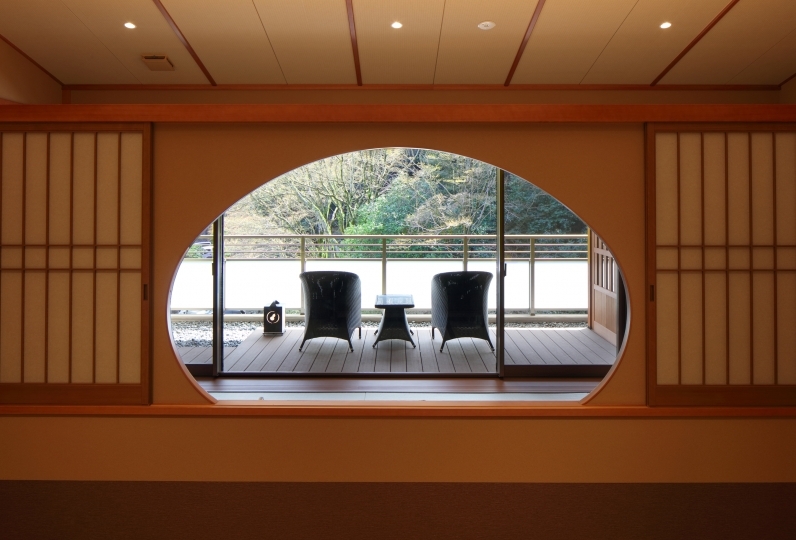 The accommodations are refined in Japanese style. From the quaint charm of the onsen village to the different faces of the Rokko mountains during the four seasons, the Hyouei-kouyoukaku has prepared sweeping scenery of the Kansai area's scenery for you to enjoy. Japanese-style kaiseki course meals are are prepared with the splendors of the four seasons and served to your room. Including　Kobe beef to the menu, you will enjoy a luxurious array of high quality cuisine in the privacy of your own room. Accompanying your meal are stunning views from your room and after you finish your delectable meal, we would love you to enjoy the pride and joy of Arima Onsen. It is said that in the past, Emperor Jomei and Emperor Kōtoku adored the characteristic red-brown color of the water. 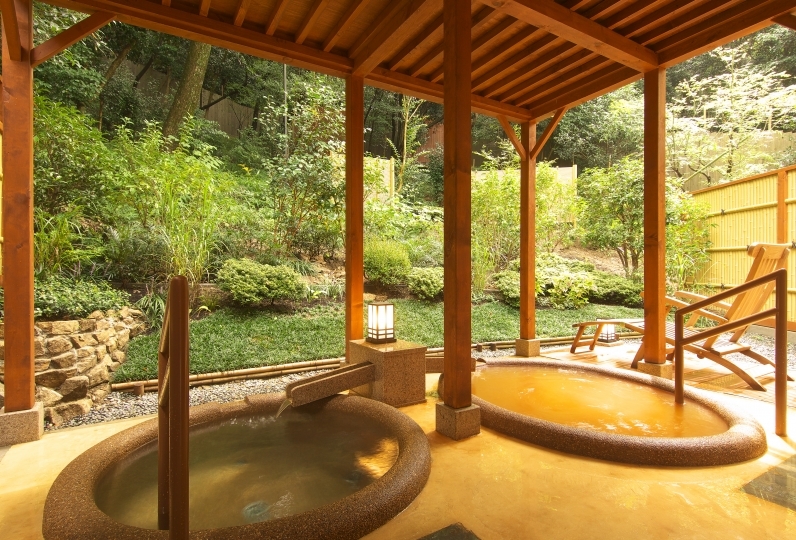 Try visiting the three varying and distinct baths at the ryokan. From the garden on the 9th floor, you can enjoy splendid views of the back of the Rokko mountains as well as a lovely foot bath with the famous red-brown water. Enjoy the views of Rokko and the warm hospitality to your heart's content. All aspects are very satisfied, the service is very thoughtful and careful, and I look forward to staying again. The room was also upgraded from the standard room to the room with the outdoor bath, the dish was also delicious and there was more volume and it became a really good trip. Customer service and service were the best. The hotel is conveniently located, staff is courteous and the service is friendly. Dinner is comfortable and private in the room. The food quality is good. Only breakfast is average, too many people and not many choices. The hot springs are very good, the supplies are complete, the hot springs are also very good, and the privacy is high. The overall feeling is very good, but the price is slightly more expensive. View of Hokusetsu, grid ceiling is becoming a large bath of beautiful Japanese style. Gold hot spring, we have available to indoor bath and open-air bath. Since we also have a sauna, please use it by all means. ※ "Ichinoyu" and "Ni-no-Yu" will be limited by gender depending on the time. In contrasting the bathroom and "Ichinoyu", symmetrical pillars and impressive lighting: you can enjoy a unique world that matches the view of the curve Hokusetsu of Roman. Similar to "Ichinoyu", a sauna is also fully equipped, please use it by all means. ※ "Ichinoyu" and "Ninoyu" will be men and women swapped in daily. This bath on the 9th floor is a large bath of nostalgic "watering place". When you open the glass door between the indoor spa and outdoor spa bath, it will be a semi-open-air bath-style. 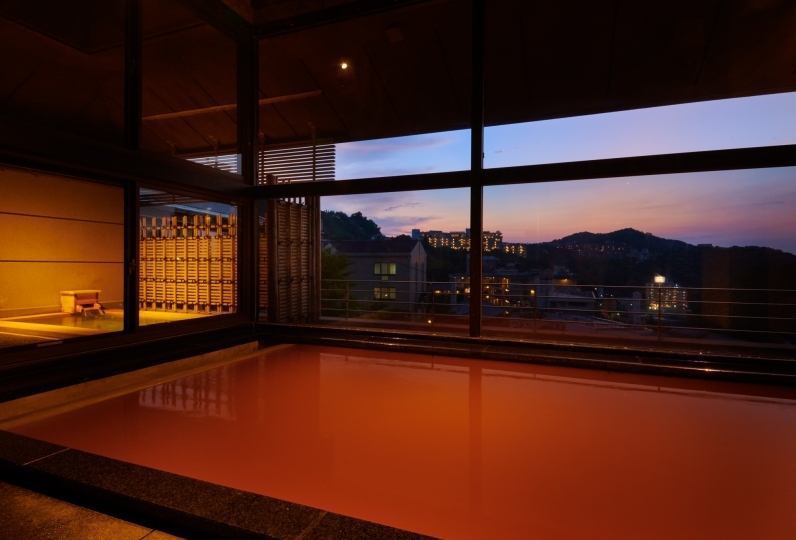 ※ At Sannoyu, we have established both men and women hot water bathing areas. Just like on god's island of Bali, you can enjoy a traditional Balinese massage and a pleasant aroma as well. Feel free to enjoy soft manipulative touches. Comfortable and gentle massage procedures the flow of blood is increased leading to better circulation. The counter has a lounge that provides a gorgeous night view. While admiring the beautiful night view, enjoy a relaxing moment. ※ The seats are nonsmoking. Guests can relax in a peaceful atmosphere. Provided with variety of cocktails. • This plan fee, the bath tax (¥ 150) is not included. ※For child under 2 years old that do not require bedding, stay is free of charge. Please do not include your child in the guest count, and tell us on the free comment section (include the child's age). ※For children ages 3 to 6, breakfast is included in the plan. 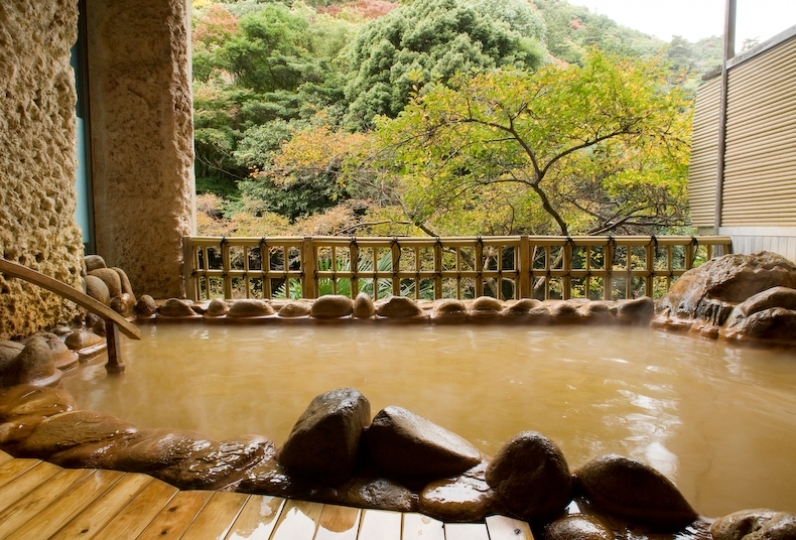 -From Arima Onsen Station and Arima Onsen bus stop, it's about a 6 minute walk. -We have a shuttle bus service that goes to Arima Onsen Station, Arima Onsen bus stop, and Ropeway Arima Station. -Upon arrival at the station, please call us. 10 of people have viewed this page within the past 24 hours.